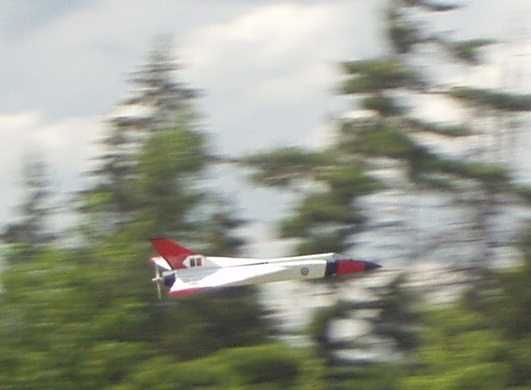 Sport scale pusher prop model of a Canadian jet fighter, designed by "Mad Rob" McKellar. The short kit includes laser cut balsa and plywood parts. No plans are needed to build this tab-and-slot design, but please download the instruction manual from the "Instructions" tab.